BANNED BOOK INSPIRED BOOKMARK COLLECTION! A fun way to acknowledge the tried but not often successful efforts to censor books. 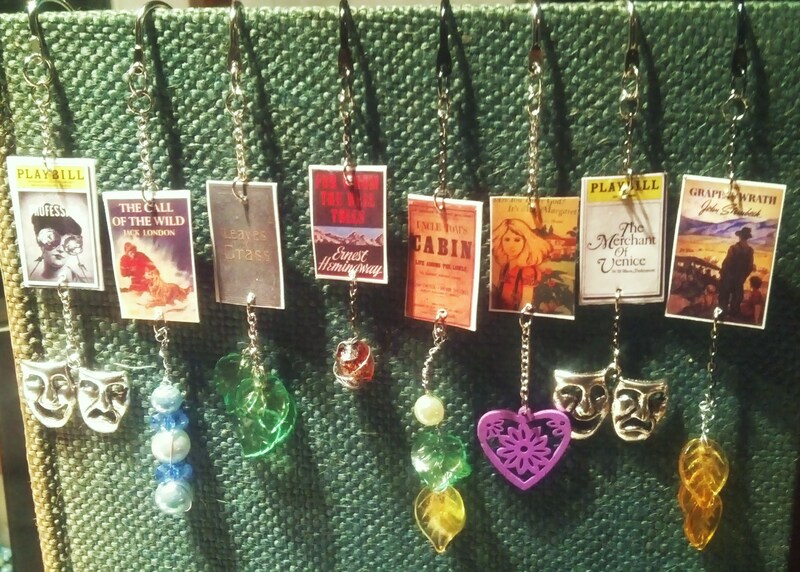 These original bookmarks feature a book charm handmade in our studio using our unique process. Image appears on both sides! Each bookmark features the addition of metal charms, glass beads, silver wire or plastic leaves. Previous postSong Receives Industry Nod! Next postArianna & Oprah prompt The Mother of All Soups!